I was born in Taunggyi and lived for twenty years. But I didn't know that it was established more than a hundred years ago. 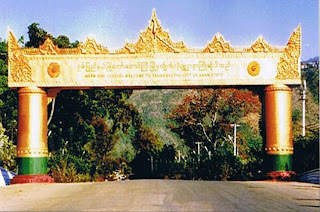 Yes, now I am very proud to be a Taunggyi Thar, even though I left fifteen years ago. Thanks a lot bloggers. Now I can recall my old days memory reading and watching about my "Home Town", especially Tasaungtine festival. Thank you all so much.